The microgrid research team (from left to right): Abhi Chitlange (MEM ’16), Vignesh Ramasamy (MEM ’16), Swapnil Latad (MEM ’16), Hemant Disale (MEM ’16), and Sachin Gaekwad (MEM’16). Marked by the hum of research equipment and the buzz of construction on new buildings, daily operations on a university campus come with a growing demand for electricity. Although that demand can be measured in kilowatt-hours, the reliability and resilience of the electricity system supplying power to campus, especially in the event of an outage, prove equally as important when developing and managing a campus energy plan. Taking those factors into consideration, five Northwestern graduate students in the Master of Engineering Management (MEM) program will conduct a preliminary assessment of sites for distributed energy sources on Northwestern’s Evanston campus, and make recommendations for the implementation of a microgrid. Microgrids help address three main issues in electricity delivery — reliability, energy efficiency, and sustainability. They operate as an interconnected group of usage loads (demand) and distributed energy resources (supply) that can draw power from the grid when demand exceeds supply on the system, but also disconnect from the grid to an "island-mode" state. In settings that rely on a continuous power supply to sensitive research or support equipment — such as universities, hospitals, or national labs — the microgrid in "island-mode" can serve as a backup energy source in the event of a grid outage. From an electricity management perspective, microgrids can yield valuable information on optimal energy use and help to make better decisions about what processes can be deferred or curtailed to reduce energy use when electricity is expensive. Microgrids can also provide critical auxiliary grid balancing services back to the system operator, providing an active source of revenue back to the microgrid owner. 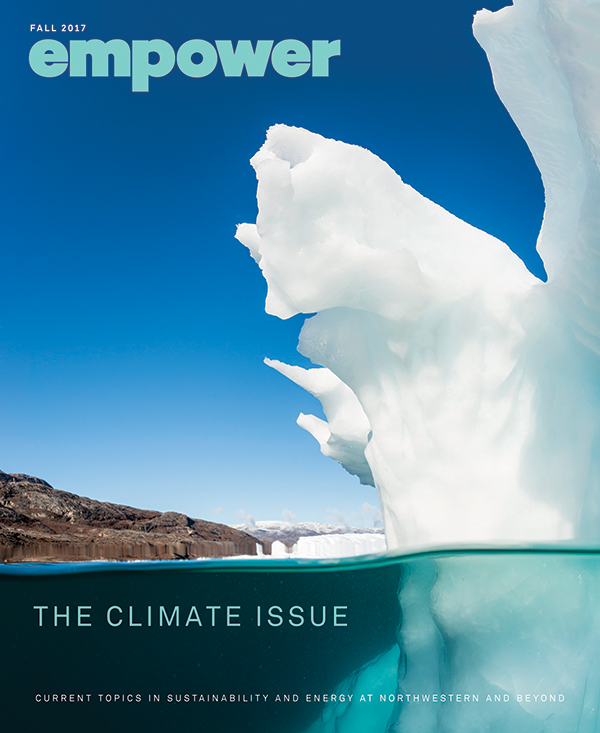 Although microgrids carry high initial adoption costs, the Pew Charitable Trusts estimates that by 2020, the national microgrid capacity will increase 145 percent to 2,850 megawatts, almost 1.5 times the output of an average-sized nuclear power plant, and enough electricity to power more than 2 million households. Concurrently, the total market value of microgrids is expected to exceed $3.5 billion. 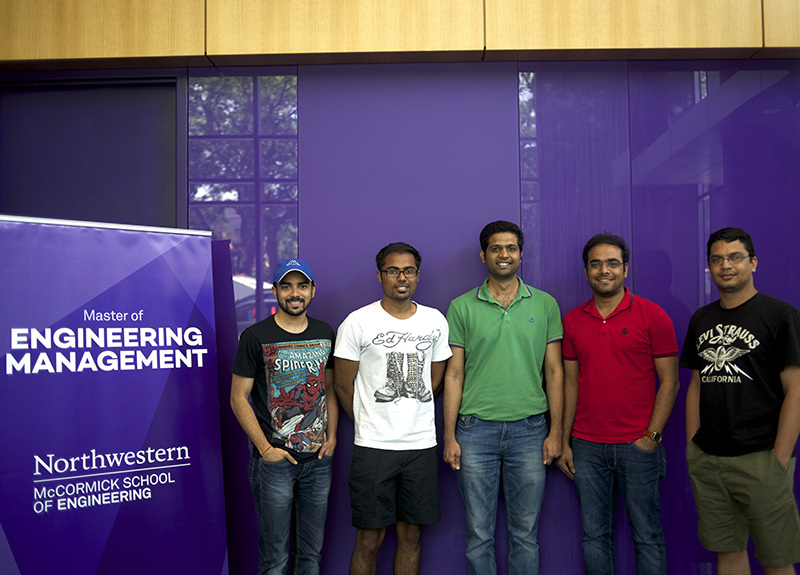 The Northwestern team, which includes Abhi Chitlange (MEM ’16), Hemant Disale (MEM ’16), Sachin Gaekwad (MEM’16), Swapnil Latad (MEM ’16), and Vignesh Ramasamy (MEM ’16), will assess quantitative benchmarks, such as energy use, efficiency, and carbon footprint, at three locations on Northwestern’s Evanston campus: the Visitor Center, the North campus parking garage, and the Technological Institute. They will use a combination of private and open-source energy management software to assess the feasibility of installing a solar array for electricity generation, combined with a scalable battery, for storage. The team will also consider the project’s qualitative potential for making the University a living laboratory for green technologies. On August 4th, the team will present a recommended site for the project, as well their financial analysis of next steps for installation — ranging from outright purchase of the microgrid system to options for leasing from a third-party owner. Their recommendations will be heard by sponsors and mentors on the project, which include the Institute for Sustainability and Energy at Northwestern (ISEN), Northwestern Facilities Management, the Master of Engineering Management program at Northwestern, Schneider Electric, a multinational energy management and automation company, Viridity Energy, provider of energy management software, and ViZn Energy, a zinc-iron flow battery company. Additional funding for the project came from the Northwestern Sustainability Fund, a $50,000 pool established to catalyze Northwestern student engagement in energy and sustainability. Pending a decision on next steps, a solar installation at any of these locations would join the 16.8- kilowatt panel array situated on top of the Ford Motor Company Engineering Design Center, the first LEED-certified building on campus.